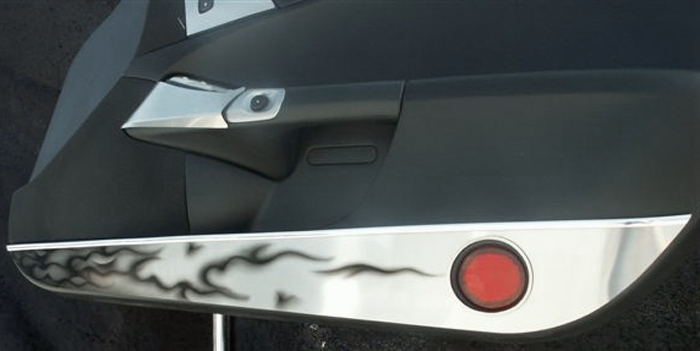 Dress up your Corvette with our Brushed Stainless Steel, Door Guards with Flame graphics. These trim pieces are designed to fit all 2005-2013 Corvettes on the inner door panel and add a clean stylish look to your Corvette interior. Sold as a two piece kit.